Your personal rule of life is a holistic description of the Spirit-empowered rhythms and relationships that create, redeem, sustain and transform the life God invites you to humbly fulfill for Christ's glory. All of us have an unwritten personal rule of life. We wake at certain times, get ready for our days in particular ways, use our free time for assorted purposes and practice rhythms of work, hobbies, and worship. There is already a rule in place that you are following. Isn?t it time to give up your unwritten rule and prayerfully write one that more closely matches the heartbeat of God? 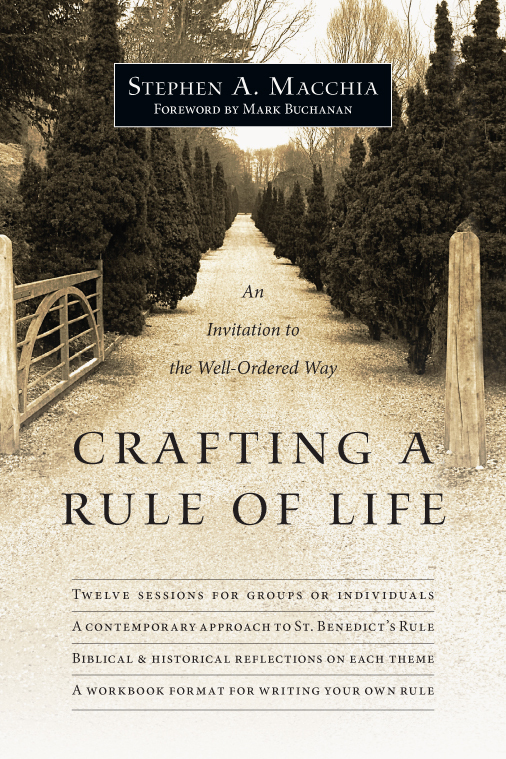 In this practical workbook Stephen A. Macchia looks to St. Benedict as a guide for discovering your own rule of life in community. It is a process that takes time and concerted effort; you must listen to God and discern what he wants you to be and do for his glory. But through the basic disciplines of Scripture, prayer and reflection in a small group context you will be lead forward in a journey toward Christlikeness. The invitation is transformational, so brace yourself for sweet release. By letting go and trusting God, you will receive the gift of life in its fullest and richest form. 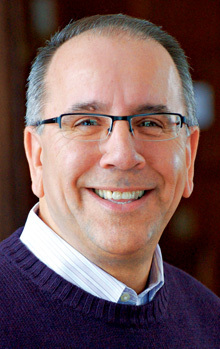 "In Crafting a Rule of Life Steve Macchia tackles the central question facing the intentional disciple of Jesus Christ: How do I shape the rhythms of my life so I can walk with God? Steve's gentle, wise and practical guidance will help you draw closer to Jesus on a day-by-day basis. This is not a book to miss." "Helping people develop their own personal rule of life so that their lives truly revolve around the love of Jesus is one of the most important issues facing the church today. Steve has made a wonderful contribution in writing this practical, thorough book. I highly recommend it!" "Whether our lives are overregulated or disheveled, a 'rule of life' may be what we need—and this book will help. It is not about 'rules' but about the end and purpose of life—to know and love God and become all he made us to be. Read it as a guide to shaping a life, neither frittered away in self-indulgence nor constrained by expectations of others, but growing into the fullness of Christ. You will find Steve Macchia to be a wise and seasoned companion on the way." "Crafting a Rule of Life is a special gift of grace for all who seek a more faithful and fulfilling way of living as a follower of Jesus Christ. 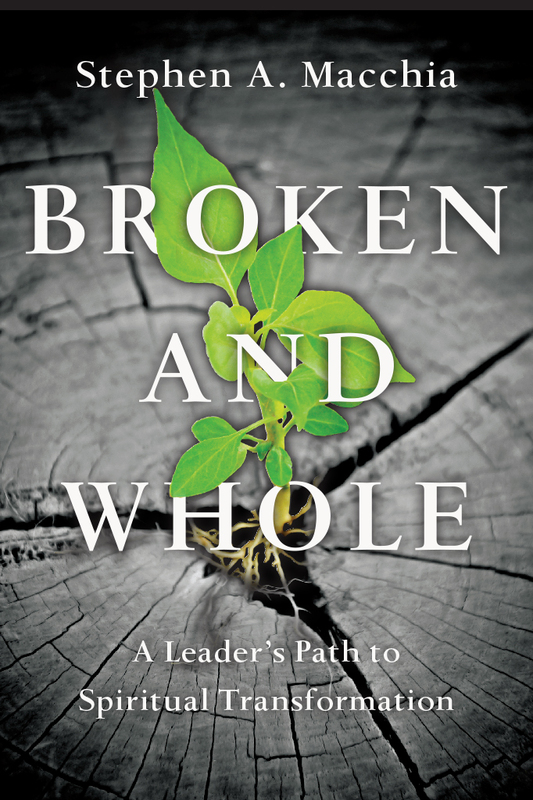 Steve Macchia clearly and compellingly writes about the value of a disciplined way of living for individuals and small groups, and then offers a carefully constructed pathway to find that more faithful and fulfilling way." "I often talk to people who feel 'living insanity' defines them more than 'living in sanity.' But one doesn't move from the former to the latter without intention and a plan. Crafting a Rule of Life offers a practical and doable process to move your life from insanely busy and driven to the sweet sanity of ordered work and rest. Biblical and historical guides accompany you on the crafting journey. 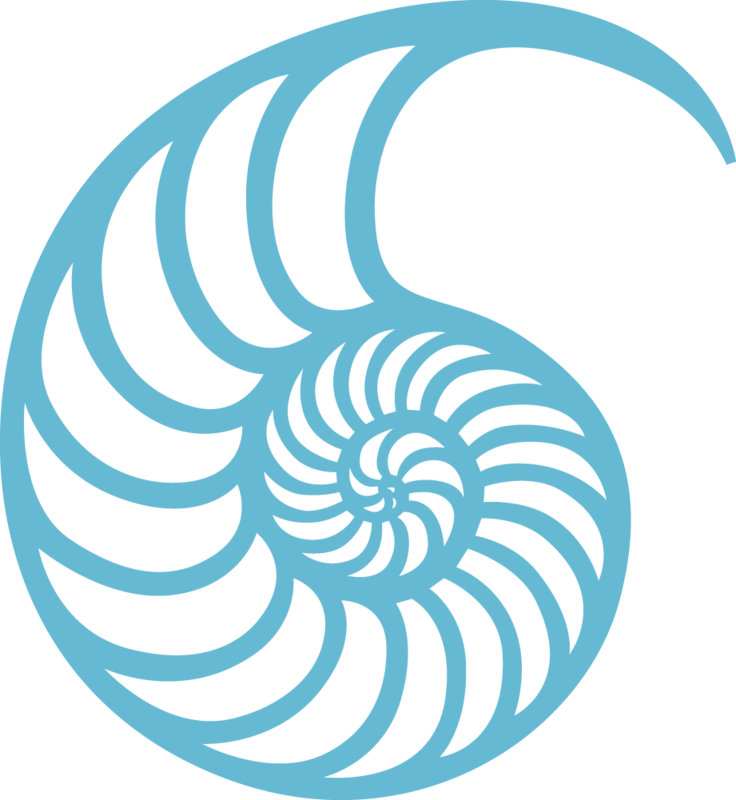 Steve's book is a wonderful tool for your journey." "The genius of Steve's approach is he makes ancient ways contemporary, personal and practical. Saint Benedict joins your daily commute. George Mueller helps you reconcile your bank statement. There's no need to live in a cave or meditate atop a pillar. The life you long to live can be fashioned from the life you already have." 1. Roles: What Are My Primary Relationships? 2. Gifts: What Are My God-Given Gifts, Talents and Temperament? 3. Desires: What Are My Deepest Longings and Core Values? 4. Vision: What Is the Intentional Passion God Has Planted in Me? 5. Mission: What Am I Currently Doing to Pursue My Vision?